This sign is often a favorite of customers and consumers. The sign is advertising a frozen yogurt and is die cut into the shape of a cup full of ice cream. The sign is blue, white, pink, and red. 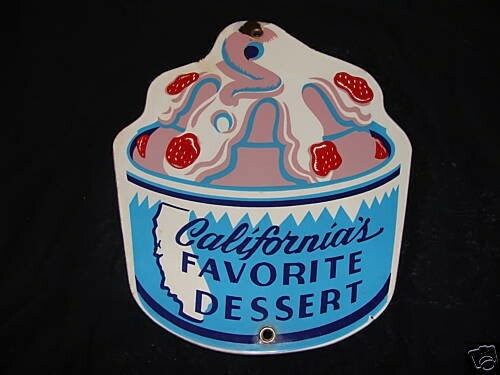 The text reads “California’s Favorite Dessert.” If you don’t like the sign, then you may like the dessert!